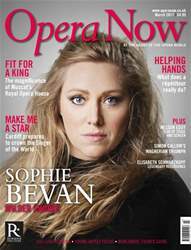 When it comes to generating column inches in the national press, opera has a better time of things than most other departments of classical music. It’s visual, so there’s a picture to be had; it’s narrative, so there’s a story to be told; and it’s sexier than your average string quartet – especially if there is a vague possibility of the cast taking their clothes off . Hence outrageous marketing deceits like the one that Covent Garden perpetrated earlier this season, with a photoshoot of Renée Fleming artfully encircled by a writhing mass of semi-naked men: a scene I failed to notice in any of the shows it was promoting.